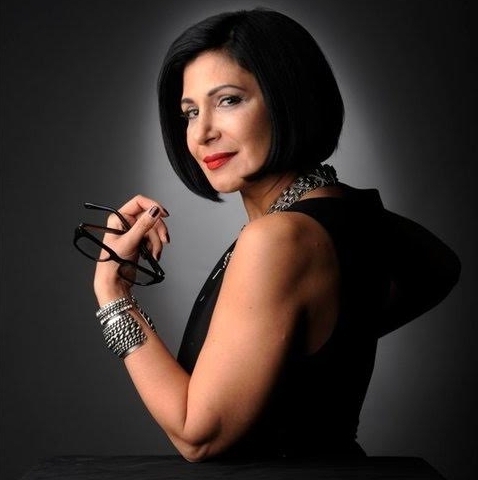 Carmela Spinelli is an international fashion and design professional with over 20 years of experience in both education and industry. Formerly the Chair of the Fashion and Accessory Design Department at SCAD, Spinelli’s current role develops and executes recruitment initiatives providing transformative learning experiences while exposing students to SCAD’s portfolio of academic programs. Prior to this role she served as Associate Chair of the Department of Fashion Design at Parson’s The New School of Design under chair Tim Gunn. Spinelli oversaw academic curricular and faculty development, international special projects and internship programs. She coordinated the department’s History of French Decorative Arts and Fashion study abroad program in conjunction with the Cooper Hewitt National Design Museum and the Museé des Art Décoratifs in Paris. Spinelli served as an executive with Celine, an LVMH company, editing and merchandising the collection for the US market and directing the flagship store in New York City. As Chief Creative Officer for Three Wildcats, a retail development firm, she led the creative vision for two new retail concepts with the architectural firm Gensler that garnered two international design awards in 2008 from the Association for Retail Environments: Outstanding Merit in Store Design and Store Fixtures. Spinelli lectures extensively on design, fashion history and the fashion business. She has spoken in Havana, Cuba at the University of San Geronimo, The National Institute of Fashion, Mumbai, The Beijing Institute of Fashion and The China Academy of Art, The Centro de Arte y Cultura, Honduras, The Detroit Design Festival, and the Victoria and Albert Museum in London in conjunction with the Mayor of London’s culture diversity team, and Fashion Forward Dubai, UAE. She holds a Masters Degree in the History of Decorative Art from The Cooper Hewitt National Design Museum and Parsons The New School for Design. Spinelli received the Lisa Taylor Fellowship from the Cooper Hewitt National Design Museum for academic achievement and a Historic Preservation Award from Historic Savannah Foundation. She is a member of the United States Global Leadership Council.